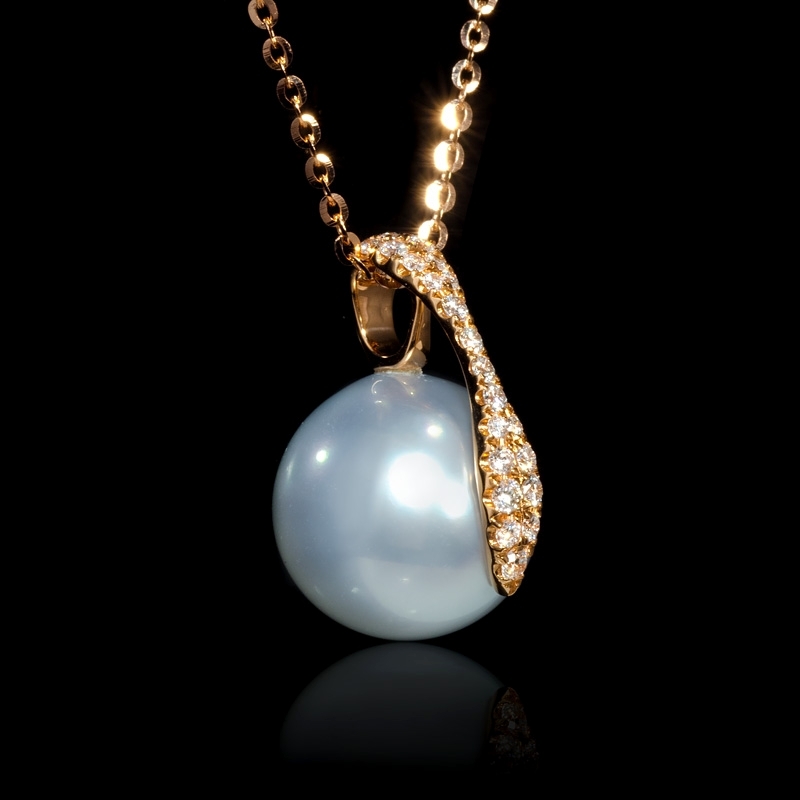 .19ct Diamond South Sea Pearl 18k Rose Gold Pendant Necklace. Diamond Details: 22 Round brilliant white diamonds, weighing .19 carat total. Pearl Details: 1 South Sea pearl, full of luster, measuring 13mm in diameter. 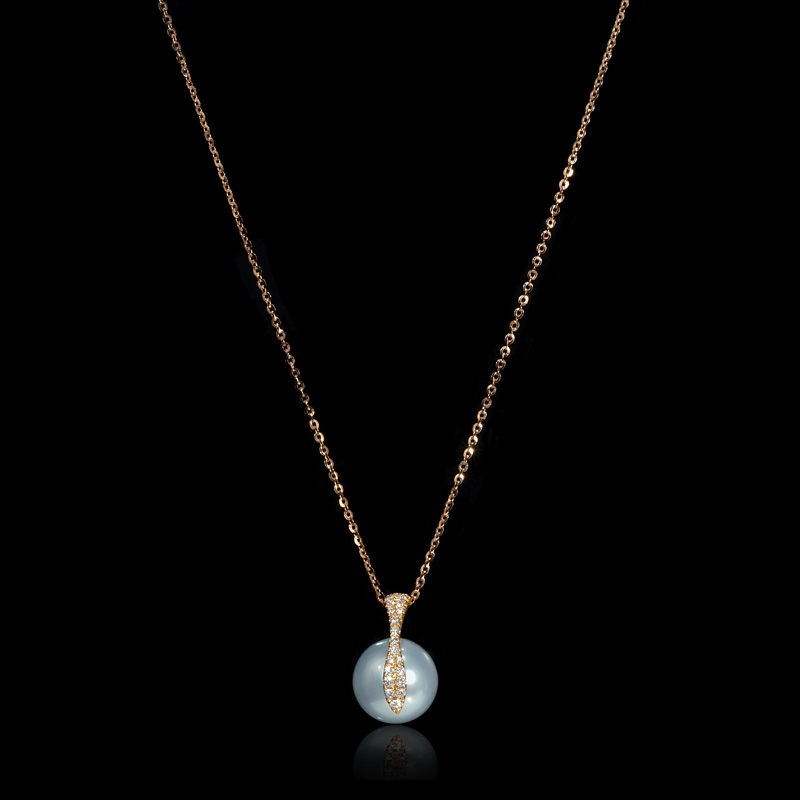 Necklace details: 18k rose gold design. Measurements: Necklace measures 19 Inches in length. Pendant measures 13mm at the widest point. 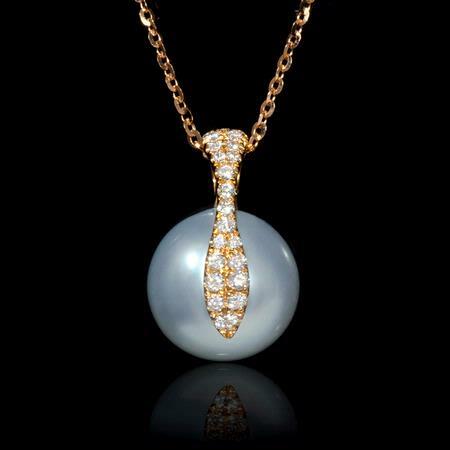 This gorgeous 18k rose gold pendant necklace, contains 1 south sea pearl, full of luster, and 22 round brilliant white diamonds, weighing .19 carat total. This pearl necklace measures 19 inches in length and the pendant measures 13mm in diameter.